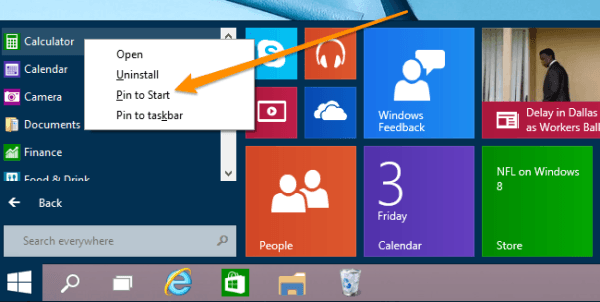 If you’re unhappy with your current Start menu size and wish it would’ve been a bit bigger (or perhaps smaller, depending on your taste) then you can simply resize it by holding your mouse pointer on the top edge of the menu and dragging it up or down. If you resize down, it’ll make the menu wider; if you resize up, it’ll shrink the width of the menu. 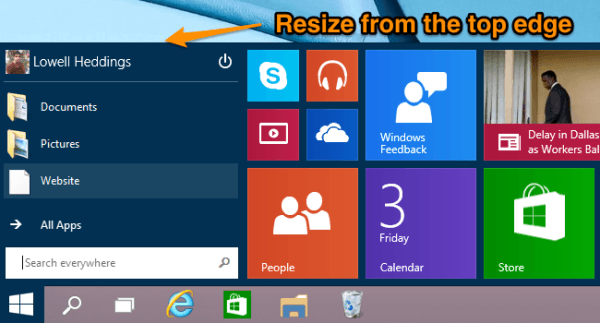 You can resize your tiles – just right-click it, hold your mouse pointer on the “Resize” option and then choose a size from the menu that’ll appear next to this option. 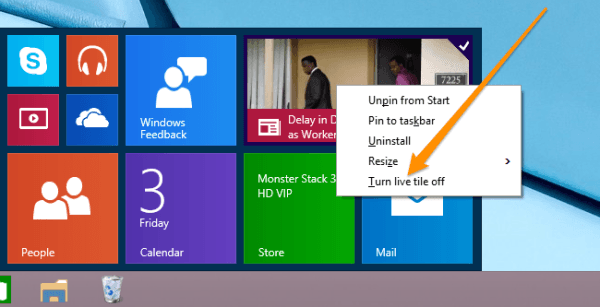 If you wish, you can also turn off live updates for any of your tiles. 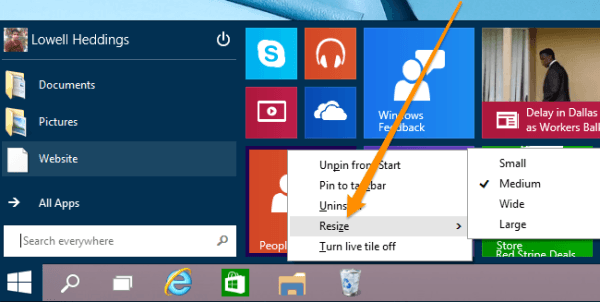 Just right-click the tile and select “Turn live tile off” option. 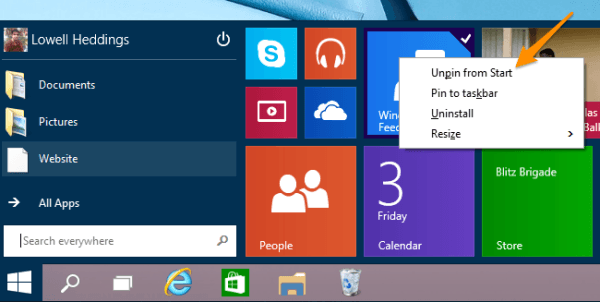 Finally, you can also pin or unpin tiles. 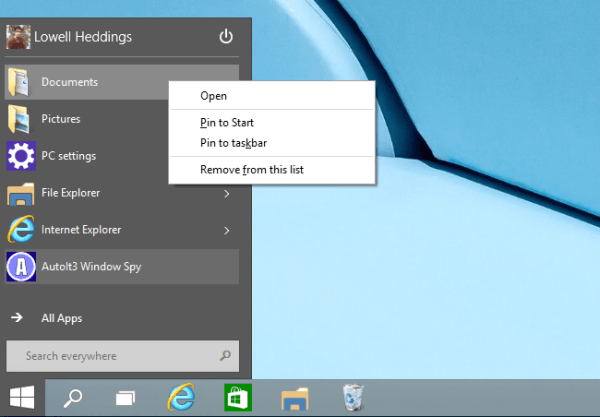 Just right-click the tile and select “Pin to Start” or “Unpin from Start” option depending on what you want to do. If a tile that you want to pin is currently not displaying on the menu, then you can find it from All Apps view and then pin it from there. The same is true for items on the left hand side of the menu! 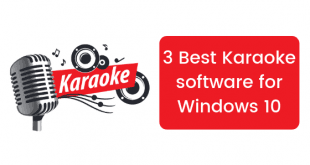 Give a different color to your Start menu: Blue is the trademark color that Microsoft has been using proudly in most versions of Windows since the very beginning, but if you wish you can give the color of your choice to your Start menu. 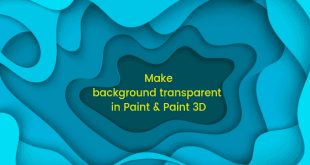 Just right-click on any empty space in the menu and select “Personalize.” This will bring a “Color and Appearance” dialog box before you from where you can select any awesome or awful color scheme that you like. 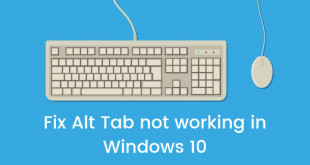 Get Rid of Tiles Completely : Finally, if you don’t want those Live Tiles and want to get back to a Windows 7 styled simple Start menu then you can get that thing too! Just unpin all the items and resize down the menu until it looks classic! 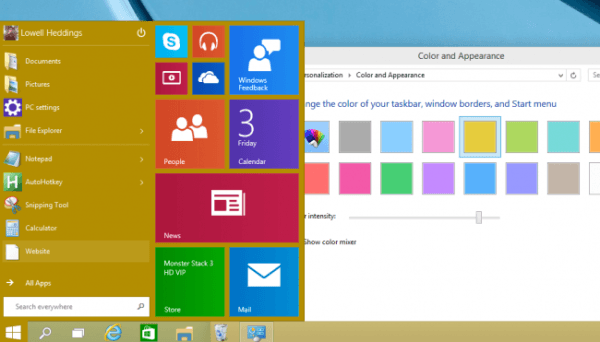 There may be even more ways of customizing the Start menu in the final release of Windows 10. These’re just a few quick-tricks that we tried on our Technical Preview. If we find any new ones, we’ll definitely let you know about them, so keep visiting us regularly!